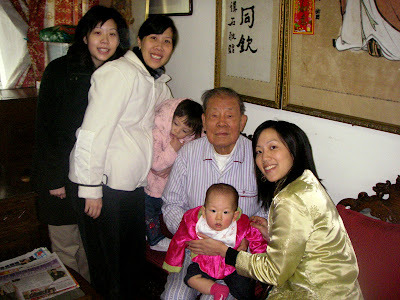 We went to "bai neen" at Natalie's maternal great-grandparents over Chinese New Years. It was nice to see them again and they were happy to see their great grand-children Natalie and Vanessa. Below are some family pics! 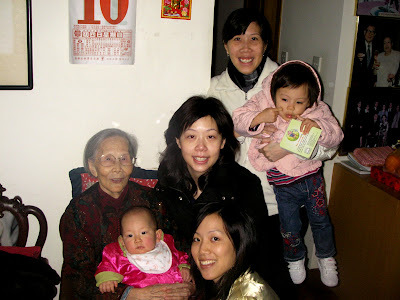 Natalie, Carol, Lisa, Vanessa, and Tracy with our great-Mama.